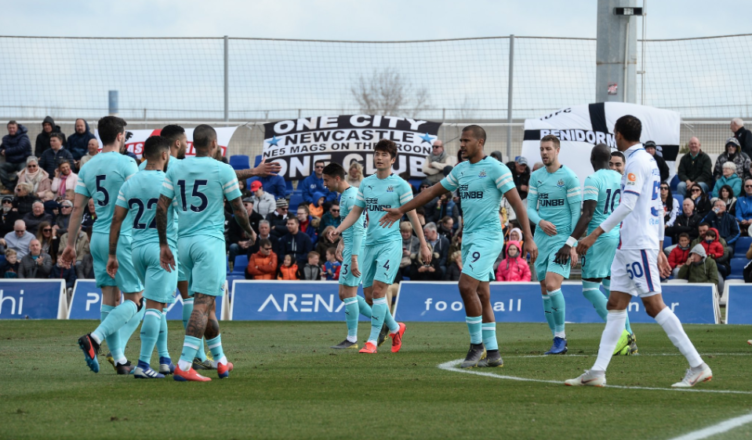 PLAYER RATINGS: Newcastle 1-1 CSKA Moscow – Marks out of 10 for all 22 players involved – NUFC blog – Newcastle United blog – NUFC Fixtures, News and Forum. A decent run out for Newcastle today against Russian giants CSKA Moscow, with Salomon Rondon getting on the scoresheet in a game that featured NUFC new boys Almiron and Barreca. (5-2-2-1) Darlow – Yedlin, Schar, Lascelles, Lejeune, Barreca – Ki, Diame – Kenedy, Almiron – Rondon. Darlow – 7 – Sliced a clearance early on and was slightly unconvincing as he took two attempts to gather of a low cross, however he recovered well and made several impressive saves later on in the half. Yedlin – 8 – Particularly impressive going forward. Played a huge part in Rondon’s goal, beating his man twice and delivering a dangerous cross into the box. Had a lot of joy down our right and looked sharp, playing some good balls down the line and in behind. Wasn’t tested defensively, but was great at the other end. Schar – 7 – Showed his class on the ball with a few highly impressive dribbles out of defence. Pretty solid at the back and also played some decent balls into midfield. Lascelles – 6 – Won plenty in the air put in a strong early challenge to show he wasn’t treating it as a ‘friendly’! Caught in no mans land for their goal, so will be a little frustrated with that. Lejeune – 7 – Read the play expertly to cut out a few slack CSKA passes and was composed on the ball. Pinged a lovely pass out to Yedlin in the build up to Rondon’s goal. Barreca – 6 – CSKA’s Attacks often came down his side but he dealt with them reasonably well – although he does look more of an attacker than a defender. Looks comfortable on the ball and was keen to get down the line, also showing he could use his right foot too with an impressive cross field pass to Yedlin early on. Diame – 7 –Broke up the play well in typical Diame fashion. Missed big chance, blazing over from a one on one, but pressed well and was solid in possession. Looked in good shape after over a month out. Ki – 5 – Neat and tidy at times but uncharacteristically wasteful on occasion. being dispossessed in bad areas from time to time. Pretty quiet by his standards and a conceded a few cheap free kicks. Kenedy – 1 – Absolutely woeful. A ‘1’ seems harsh, but I can’t think of one thing he genuinely did well. He delayed what should’ve been a simple pass to put Rondon in behind and over hit is horribly when he finally came to play it. He blazed a shot over a 30ft fence when a pass was on, he hit the first man from a dangerous free kick and even tried to lob the keeper from 40 yards out with a first time shot that was never on. I was hoping he’d be reinvigorated after a few days away, but he lost the ball on countless occasions and showed incredibly poor decision making. Almiron – 7 – Looked bright in attack. Could’ve got himself a few assists if our finishing was better and worked hard, looking very enthusiastic both on and off the ball. He drifted in and out of the game but always seemed eager to make something happen when he got it. 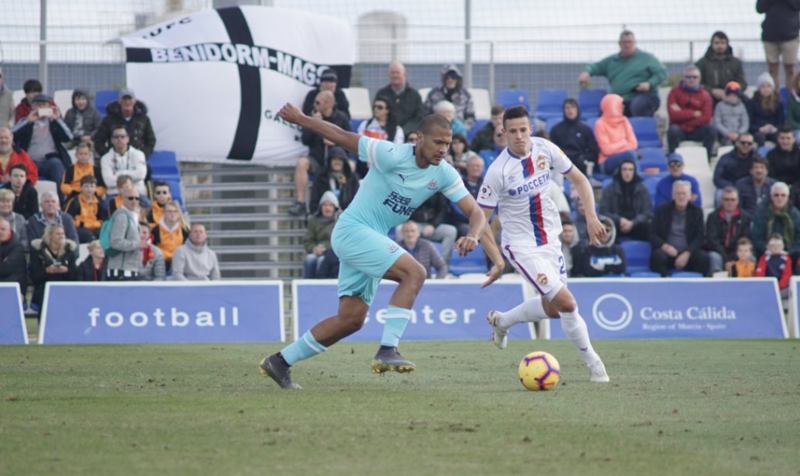 Rondon – 7 – Took his goal well, chesting the ball down and volleying the ball across the keeper. Hold up play was solid and could’ve had another goal or two if Kenedy chose to slip him in and not shoot. (4-2-3-1) Woodman – Manquillo, Fernandez, Dummett, Ritchie – Hayden, Longstaff – Perez, Muto, Atsu – Joselu. Woodman – 6 – I don’t think he had a save to make in all honesty. Had mixed success as he tried to play a few flat kicks into the wind. Manquillo – 5 – Didn’t venture forward much and struggled to get much going with Perez down the right. Offered far less than Yedlin who was impressive in the first half. Fernandez – 6 – A steady 45 minute showing from the Argentina; not that CSKA threw much at us in the second half. Looks comfortable on the ball. Dummett – 6 – Played as a left sided centre-back and was unspectacular but solid on his return to the side, with a few good clearances and no nonsense pieces of defending. Ritchie – 8 – Full of beans and competitive as ever. Got some good crosses into the box and was the one player trying to make things happen in what was a pretty one-paced second half. Hayden – 7 – Screened the back four well and got stuck in. Had one nice burst up to skip past a few players in the final third, with him doing well to win a free kick in a dangerous area. Longstaff – 7.5 – Another mature showing from midfield. Played a few controlled forward passes into wide areas, pressed well and never shirked his defensive responsibilities. Perez – 5 – The odd nice touches here and there but pretty quiet in the main, with not much falling for him despite his best efforts. Muto – 4 – Could’ve won it late on but was denied by a smart save from Akinfeev, but didn’t really get into the game and looked a very rusty when he did from the number 10 role. Had one good mazy run down the right hand side in one of few second half breaks, but needs to be much better if he wants to get into the side. Atsu – 5 – Didn’t do much but looked after the ball much better than Kenedy did. Had one or two promising runs with the ball and almost set up Muto with a late flick into his path, but his final ball was pretty mixed. Joselu – 3 – Wasted a huge chance with a tame shot that could’ve honestly been passed off as a back pass. Hold up play was poor, with the ball completely bouncing off him at times. A reminder how important it is that Rondon stays fit! Kenedys form is truly worrying now. Who else beside Rondon can play striker?